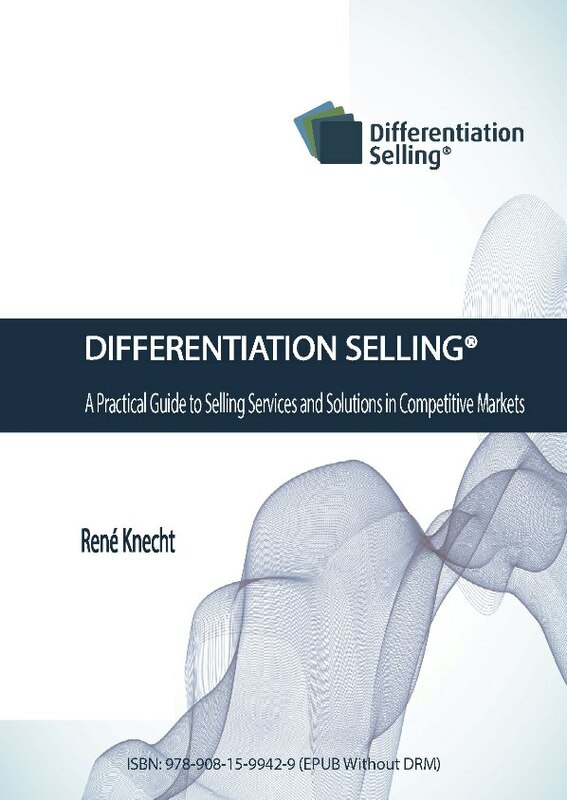 This book aims to provide you with a useful method (Differentiation Selling) that you can apply to your own sales context. The various stages are not always presented in a logical order, but are described as a procedure. We have not tried to write a work of literature, but rather to explain this method as best as possible from various angles. This means you can just read the chapters that are relevant for you. It covers so-called tacit knowledge: knowledge gained in practice that cannot be explained in models or concepts. We call it a sales learning method, which we know from experience is effective. The concept of the three time dimensions and process-oriented questions were developed in the first book (Dutch edition, 2010, Kluwer, 2011), and this concept is also used in this tutorial. The emphasis is on the question of how to sell using the Differentiation Selling method. We refer to the literature study at the end for explanations and correlations with best practices in, for example, change management, conflict management and leadership. We received valuable feedback from participants in the Differentiation Selling seminars, and so have been able to reformulate the concept of Differentiation Selling as a learning method in an on-going process that strives for continuous improvement. Appendix 1 contains a list of the most frequently asked process-oriented questions. Appendix 2 contains an example of a sales conversation with process-oriented questions in the IT personnel-outsourcing sector. Appendix 3 contains an example of a sales conversation with process-oriented questions for selling a financial solution. Appendix 4 contains further examples of process-oriented questions for entrepreneurial selling. Appendix 5 contains another approach to the concept of selling value. We have deliberately kept this book concise. If you prefer to learn from practical experience and then understand the background later, you can start by reading the examples in appendices 1, 2 and 3, and then read the book from chapter I.